You may have noticed an underlying – occassionally blatant – theme in this blog: The arts are good for business. It’s a message the Missoula Cultural Council is trying to spread. We all know the cultural value of having an arts rich community. We love living in a place where on a given weekend we can go to the symphony, to see a play, or see plenty of local musicians. We love being able to take in an art show or thirty on the first Friday of every month. It makes Missoula a fun place to live. But what most people don’t recognize about the arts in our community is just how significant they are to our economy. Downtown businesses understand the impact of art events. First Friday is often of the best day of the month for restaurants, bars and breweries. It can be a great marketing tool for retail businesses as well (see last week’s article). But the reach of the arts goes further than First Friday. 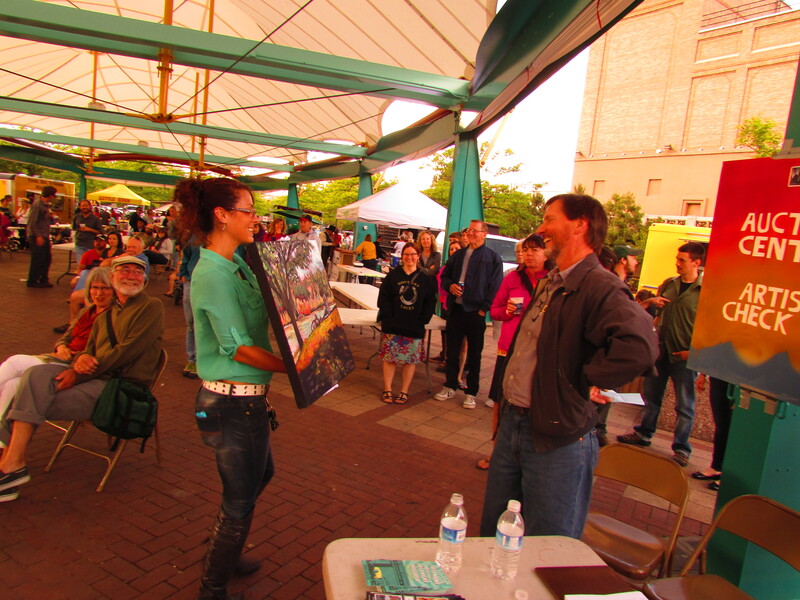 In 2010 the Missoula Cultural Council worked with the Americans for the Arts organization to conduct a city wide survey of arts non-profits and their audiences to determine just how large an impact arts make on Missoula’s economy. You can read the full report here. What the study found was that non profit art organizations alone – that’s not counting individuals and for profits – account for a total of 39.9 million dollars in economic activity. We all want a better city. We want less potholes and more education. We want to be sure that our emergency personnel are well compensated – and that there are enough of them to keep us safe. We want beautiful parks and more parking. We want a lot, but we don’t want more taxes. There is a way to accomplish this, and it begins with the arts. In 2010 26.3 million dollars flowed into our economy as a result of arts related events. That’s not money that went towards ticket prices, fundraising, or other support for the organizations putting these events on. That money is what is flowed into your local businesses. It also contributed to the 3.3 million dollars that flowed into local and state government revenue. And it wasn’t all local money either. Nearly 20% of attendees came from out of town and over half of them said they came specifically for an arts event. Tourism is a key industry for Missoula and one the city has been taking advantage of. We have a bed tax so tourist dollars can help improve our city and keep our own taxes down. We don’t have a sales tax to encourage visitors to spend more and keep coming back. The state of Montana has engaged in multiple marketing campaigns, even going so far as to plaster images of Glacier all over nearly every bus and train in Chicago. It’s clear that Montanans and Missoulians alike see the economic benefit of attracting tourists. We do as much as we can to keep them coming back. So shouldn’t we be making sure that our arts events are supported as well? And more importantly shouldn’t we make sure that potential tourists know that? We live in a beautiful place full of outdoor opportunities. Whether it’s flyfishing in the summer or skiing in the winter, Missoula is a great place for outdoor recreation. But that doesn’t make us unique. In this region the wonder of nature is an abundant commodity. What sets us apart is our creative community. Missoula is special because you can float the river and land in a festival in Caras Park. You can attend a symphony performance after a hike through the woods. The arts have already proven themselves as a positive driving force in our economy. They weathered the economic downturn better than most industries and continue to bring in dollars. We as Missoulians need to recognize this and capitalize on it. So, what can you do to help? Do you own a business? Consider sponsoring an art event. Don’t think of it as donating, think of it as marketing. You have a budget for marketing, but local advertising will only bring in local dollars. Art events have the capability to reach outside our community. In 2010 art and cultural events brought in over twice our population from out of town. And they all had to eat, drink and sleep somewhere. Don’t have a business, or can’t sponsor? Get involved with our local government. Recently representatives from several arts organizations, along with the Missoula Cultural Council, presented the economic impact of the arts to city council in an effort to create a cultural plan for the city. 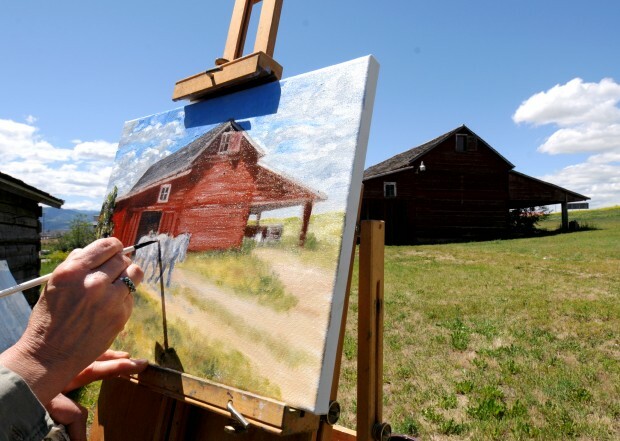 The plan would focus on marketing Missoula to potential tourists by highlighting the arts. Now that you know the power of the arts in Missoula and the potential they have to improve our community, let your city council know. Together we can strengthen and grow not just our economy, but our community as well.